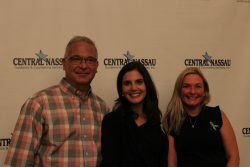 Nassau County, NY (November 20, 2017) – As co-occurring opioid usage and mental health issues continue ravaging Long Island’s families at record levels, more than 200 local residents showed their support for the area’s leading mental health and substance use treatment provider—nonprofit CN Guidance & Counseling Services—by attending its 3rd annual Taste of Hope fundraiser and awareness-builder. 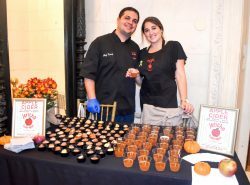 The event, held October 25th at de Seversky Mansion in Old Westbury, sold out and raised thousands of dollars. Last year, nearly 500 Long Island residents died from opioid overdoses—the most ever, Newsday reported. Many of those with addictions simultaneously face untreated mental illness. The Taste of Hope fundraiser—emceed this year by Kristin Thorne of WABC-TV’s Eyewitness News—has proven to repeatedly draw concerned and generous residents in what has become an annual tradition that combines issue-awareness building, an honoring of community members leading positive change, and an inspiring culinary event featuring tastings from some of Long Island’s premier restaurants, bakeries, wineries, and breweries, along with a fundraising raffle and silent auction—all raising money for the charitable cause. Event proceeds support the pioneering nonprofit’s ability to help over 6,100 individuals annually to address and overcome heroin and prescription pill addiction, severe depression, anxiety, suicidality, and other mental health and substance use disorders. Speakers at the event told short personal stories that highlighted the profound differences in treated vs. untreated mental health and substance use disorders, bringing tears to the eyes of dozens in attendance. 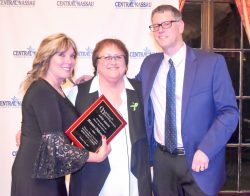 The evening took time to honor three individuals—Maureen DiBernardo, Jane Kranz, and Steven Cohn—for their commitment toward improving individuals’ and the community’s health. Three chefs/culinary artists who have returned annually since the first year included Jonathan Scinto, Piccola Bussola of Huntington, and MaCayla Michaels Desserts. The 2017 event’s largest sponsors comprised Cook Maran, Alcott HR, Brown Weinraub, Barker Family, and M&T Bank. Additional organizational sponsors included Nawrocki Smith, Quality Laboratory Service, Signature Bank, Jackson Lewis, Aetna, Chevrolet Atlantic, Adelphi University, and Mutual of America—along with dozens of businesses that made in-kind or cash donations. 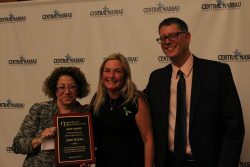 About CN Guidance and Counseling Services: Established in 1972, the purpose of CN Guidance & Counseling Services, Inc., a nonprofit organization, and the only state Certified Community Behavioral Health Center on Long Island, is to improve the quality of life for individuals and families on Long Island affected by mental health and/or substance use disorders by recognizing and addressing the integration of mental health and physical health. 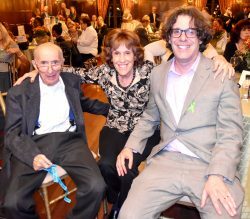 The organization leverages a holistic perspective, driven by its belief in the ability of every individual to recover. One in five families on Long Island has a loved one struggling with a mental health or substance use issue. By making a donation, you can make a positive impact upon the life of someone in need. © 2017 CN Guidance & Counseling Services. All rights reserved. The website was created by Lighthaus Design.